Winner of three Academy Awards during the ceremony’s inaugural year, this is the story of a married farmer who falls in love with a city girl who tries to convince him to drown his wife. This is the first film to win the Oscar for Best Cinematography, and it features Janet Gaynor, the very first Best Actress winner. (In the earlier years, actors could be nominated for their body of work, rather than just one film. Gaynor won her award for this, 7th Heaven, and Street Angel.) 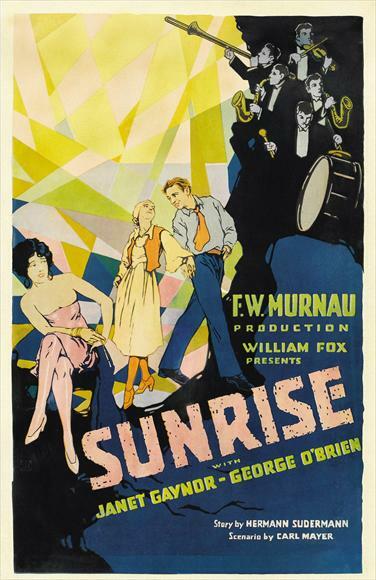 Sunrise also won the award for Best Picture, Unique and Artistic Production—a category that existed just that one year. 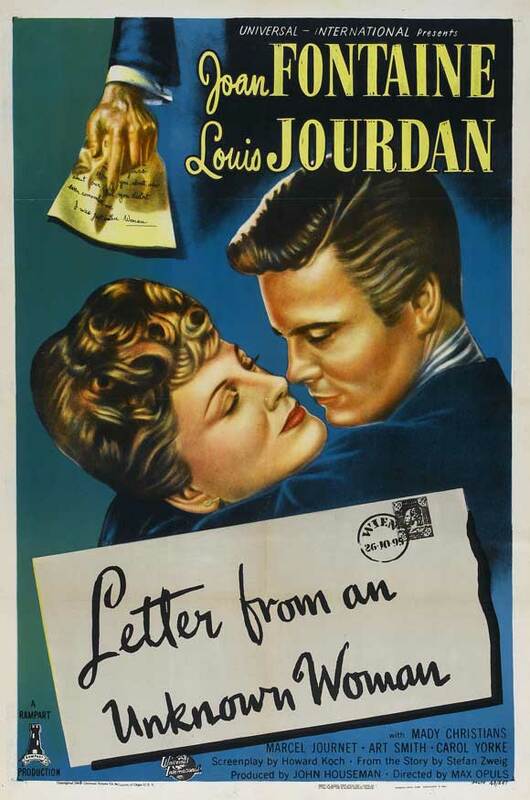 Joan Fontaine stars in this film about a pianist who receives a letter from a strange woman who may hold the key to his downfall. If there was any film on my 170 list that would have eluded me from reaching my goal, it would have been this one. This was the only movie I couldn’t find anywhere. I began to allow myself to be okay with watching just 169 of the films on my list before my 30th birthday, as this movie seemed “lost.” However, I didn’t give up. I found someone who was selling this movie and I bought it at a good price. It’s now sitting by my TV, waiting to be watched. DW Griffith followed up his highly controversial The Birth of a Nation (1915) (also on my 170 list) with this epic saga. After Birth, this is the second oldest film on my list. Both star Lillian Gish and Mae Marsh, two highly prolific actresses from the era and arguably among the first bonafide movie stars. 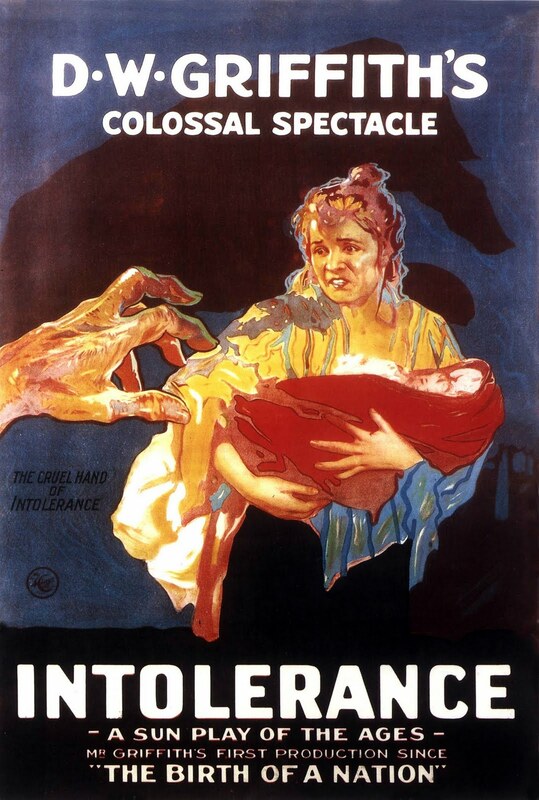 This film explores prejudice and intolerance throughout multiple periods in world history. I purposely chose to watch this film last because I’ve owned it for several years and have never been able to bring myself to watch it the whole way through. This film has been with me almost as long as my 170 list, so I thought it would be appropriate to finish off my list with it. We were lead to believe that Double Indemnity was the granddaddy of that genre. Could Sunrise actually hold claim to that title? I’m sure you’ll let us know Dan. Congrats on making it to the finish line! I love Double Indemnity, though the noir that I’ve heard others say is the one to beat is another film. (I can’t remember which. The Third Man?) Either way, I’m looking forward to Sunrise . I’m not sure if it’s considered film noir, but I can see the comparison. Another worth mentioning is A Place in the Sun.